Check out the most recent news and announcements on the WELCOME page! 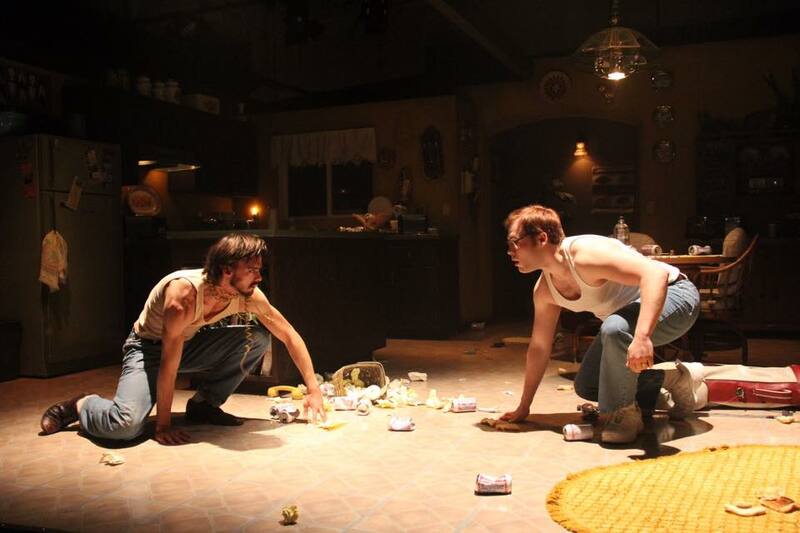 This spring, I will be serving as the Assistant Director for a production of True West ​at the University of Idaho, directed by Stephen John. This Christmas, I am delighted to be playing the Father in the beautiful musical A Child's Christmas In Wales, based on the poem by Welsh poet Dylan Thomas. I will be acting alongside many of my talented BFA and MFA Acting students from the Theatre Arts Department at the University of Idaho. This fall I will joining the performance faculty at the University of Idaho in Moscow, ID. I'll be teaching Acting, Directing, Viewpoints, and Script Analysis. 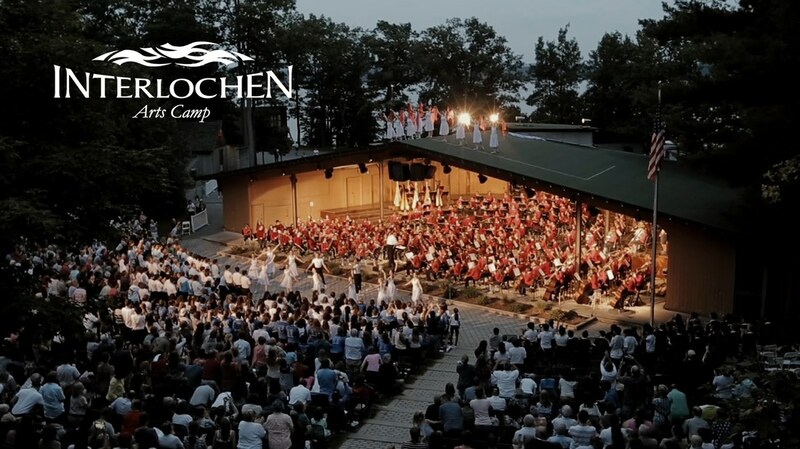 I am pleased to share that this summer I will be on the acting faculty at the prestigious Interlochen Center for the Arts. I will be teaching acting in the Intermediate Division, and am looking forward to an inspiring summer in northwest Michigan. I am excited to announce that I am beginning my first full time teaching position at Indiana University/Purdue University at Fort Wayne. Go Mastodons! 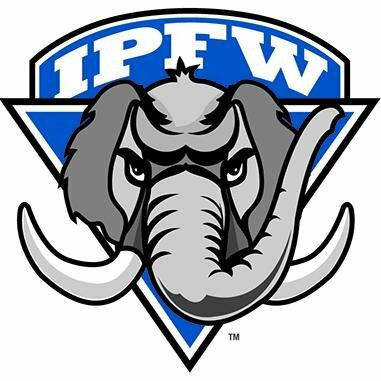 I will be serving as a Visiting Instructor in the Theatre Department at IPFW, and will be teaching a variety of classes in Acting, Theatre Appreciation, Professional Issues, Oral Interpretation, and more! 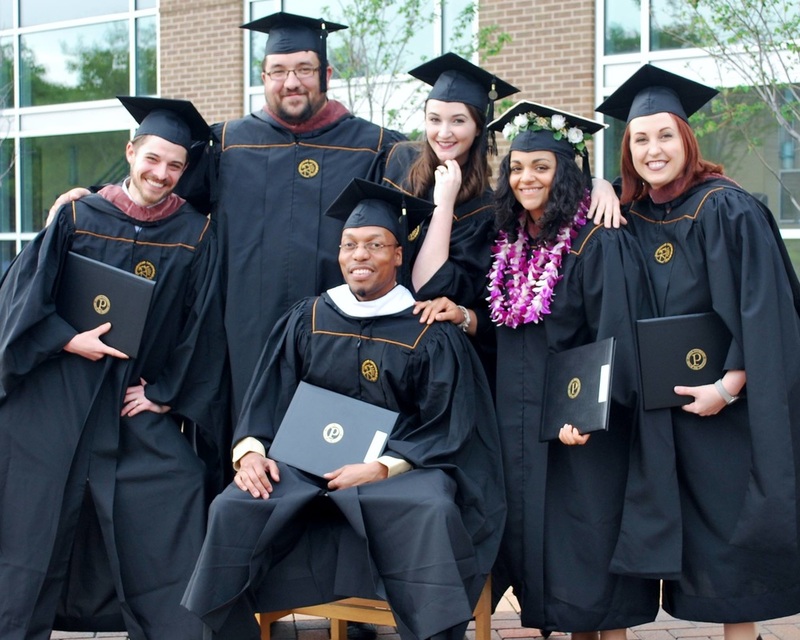 After three challenging and rewarding years as a student at Purdue University, I am proud to announce that I have graduated from the Department of Theatre with my MFA in Acting. During my time at Purdue, I was fortunate to work with many wonderful teachers, and even more passionate and talented undergraduate actors. 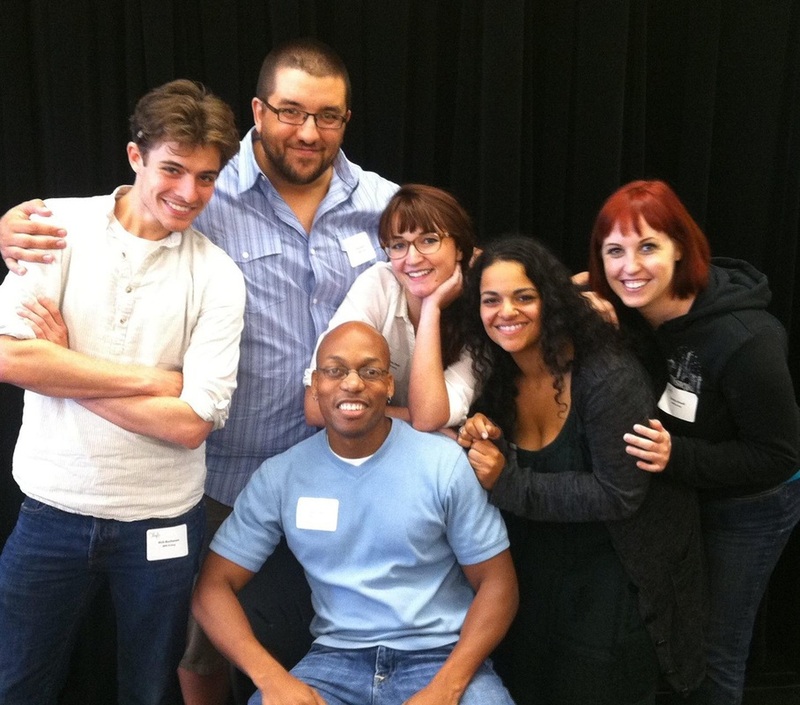 Above all, though, my journey was enriched by the presence of my MFA Acting cohort. There were six of us in all, and each one of these artists will be a part of my family for life. I can't wait to see what the future has in store for them! Thank you, Chelsee Carter, Sylvester Little Jr., Gerilyn Brault, Rich Buchanan, and Kelsie Rae Slaugh. With Kelsie Rae Slaugh as Rosalind and Chelsee Carter as Celia. As You Like It has finally opened, and the first weekend was a great success. Check out what the Journal and Courier had to say in my Reviews page, and then stop over to the Purdue Theatre website to buy your tickets! As I enter my final year at Purdue University, I am thrilled to announce that I will be playing Touchstone in Shakespeare's As You Like It. This role will serve as part of my terminal project - a several month long period of research and preparation as I complete my MFA in Acting. Stay tuned for more information on tickets and samples of my research! Stańczyk by Jan Matejko, 1862. Finishing out my second year at Purdue Theatre, I am thrilled to be revisiting the role of Toby Belch in Twelfth Night, directed by MFA Director Amy Lynn Budd. I had the great pleasure to work on this role in a workshop production featuring all of Shakespeare's great clowns back at the Shakespeare Theatre of New Jersey, under the direction of the wonderful Tim Nicolai. This production will also be a reunion with Abby Vieck (playing Maria), who was my partner in last year's Anna in the Tropics. This February, I am honored to be working on one of my favorite Shakespeare plays, Macbeth. Though I have done the play twice before, on tour with the Theatre at Monmouth and with Shakesperience Productions, I am excited to be working on it again - this time playing the role of Macduff, the warrior Thane of Fife. After an exciting run of Wait Until Dark (see a couple of production photos here), it's on to the next project. 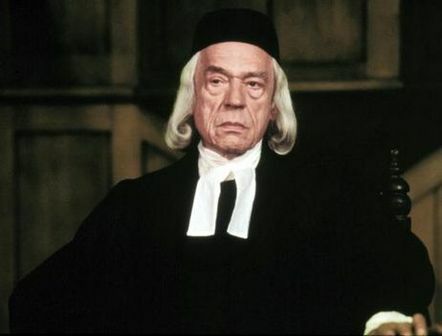 Next up is Arthur Miller's classic The Crucible, in which I am very please to share I will be playing Deputy Governor Danforth. It is a wonderful role, and a new challenge for me. And, best of all, I have a fantastic wig for the show thanks to our talented costume designer, Katharine Engelen. Check out the Purdue Theatre website to get your tickets! My second year at Purdue University and I am excited to share that I will be playing Roat in our upcoming production of Wait Until Dark. Directed by Robert Quinlan, this promises to be an exciting production - and a rare opportunity to see a real thriller on the stage. 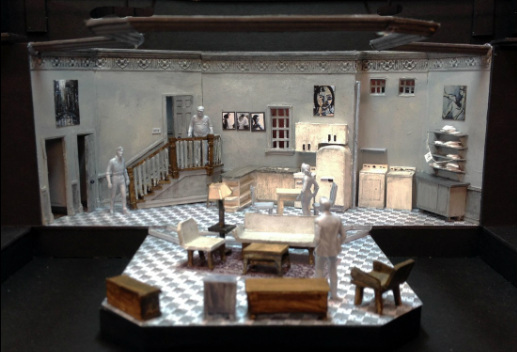 At the right is a sneak peek of Rusty Jones' brilliant scenic design for the show. Visit Purdue Theatre's online box office to order your tickets now! 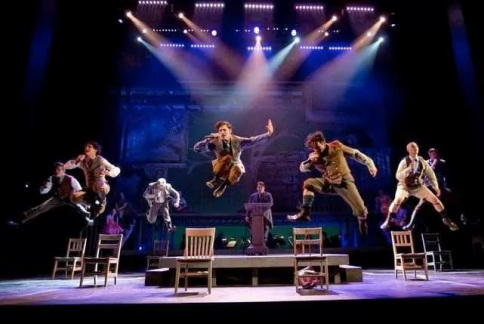 Closing out my first year at Purdue University will be a production of Duncan Sheik's rock musical Spring Awakening. I will be playing Adult Men in the production, and in two hours will get to transform into 8 different characters! I can't think of a better way to finish my year season! 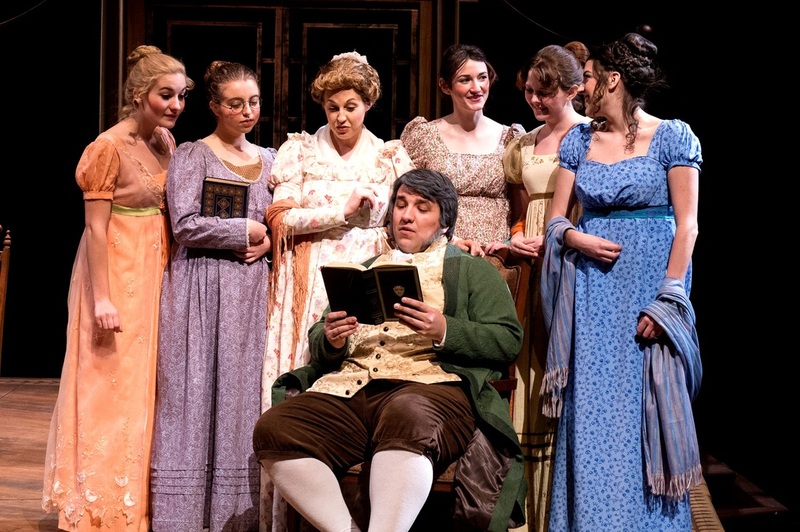 production, and in the role of Mr. Bennet. Click on the photo at the right to see some more production shots! I am excited to announce that I have been cast in the first Main Stage production of my MFA career at Purdue University. This November, we will be producing Anna in the Tropics, the Pulitzer Prize winning play by Nilo Cruz. The production will be directed by guest faculty Robert Quinlan. In this project, I'll be returning to my highschool and college roots of playing characters in their middle years, this time as cigar factory owner Santiago. Rehearsals start next month, and the show will run for three weeks in November. Get your tickets here! I have arrived at Purdue University, where I will spend the next three years as a Graduate Teaching Assistant while I obtain my MFA in Acting. In addition to a full season of productions (more information on those to follow), I will be teaching a variety of classes to the undergraduates. Up this semester are Theatre 133: Survey of Acting and Theatre 201: Theatre Appreciation. To the right, the first group photo of my incredibly talented classmates! The run of Peter Pan half-way done, and the reviews so far have been excellent, from critics and audience members a like. The Syracuse Post-Standard calls it "an explosively imaginative experience with enough magical moments to restore your faith in the power of the theater". Get your tickets for the closing weekend today! Rehearsals are underway for Peter Pan or The Boy Who Would Not Grow Up at the Red House Arts Center. It features a beautiful script adaptation by Trevor Nunn and John Caird, originally performed by the Royal Shakespeare Company - and is faithful to J.M. Barrie's original fantasy. This massive production is closing out the season at the Red House, and it promises to be a truly magical theatrical experience. I am thrilled to be a part of this company, taking on the role of the Storyteller. Click here to learn more and get your tickets! 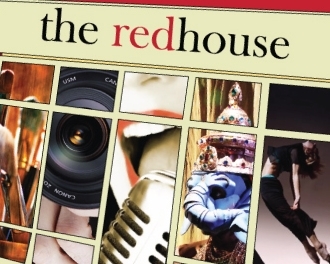 The spring semester of acting classes are underway at the Red House Arts Center. I'm honored to be a part of this wonderful team of artists and educators. In addition to my usual course, I'm preparing to teach a week long Shakespeare Intensive for kids ages 6-12 in early April! I am thrilled to announce that I have accepted an offer to attend the MFA Acting program at Purdue University, starting this fall. In addition to my acting studies in the program, I will be a Graduate Teaching Assistant, teaching a variety of Acting, Voice and Introduction to Theater courses in the undergraduate program. 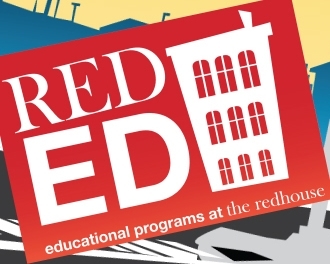 This fall, I am delighted to join the education staff at the Red House Performing Arts Center. I am teaching a youth acting course for kids ages 10-17 throughout the semester, with a showcase in December to share their work! In addition, I've signed on to assist with a week long Shakespeare Intensive next April, with sessions available for all age groups! King Lear is set to open on Friday, June 8th at the Catherine Cummings Theater in Cazenovia, NY. Performances run on Fridays and Saturdays at 8:00pm throughout the month of June. Tickets for the production are entirely "Pay What You Will". Come and watch the show for free, and if you like what you saw, donate to the production afterwards. RSVP on Facebook and let us know that you're coming! For more information, check out the CNY Shakespeare website HERE! ***Check out our wonderful reviews from the Syracuse Post-Standard and the Syracuse New Times. 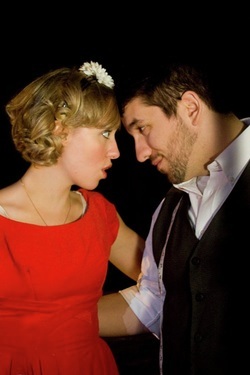 Only two performances left, on June 22nd and June 23rd! Twelfth Night closed at the Red House, after a successful run of a packed houses and critical acclaim. I have a little over a month now to learn my lines for King Lear with CNY Shakespeare, Inc. In the mean time, I'm excited to head back to the Berkshires to work on an evening of reader's theater with WAM Theater, directed by the talented Leigh Strimbeck. If you're in the area on Saturday, April 28th - come check it out! 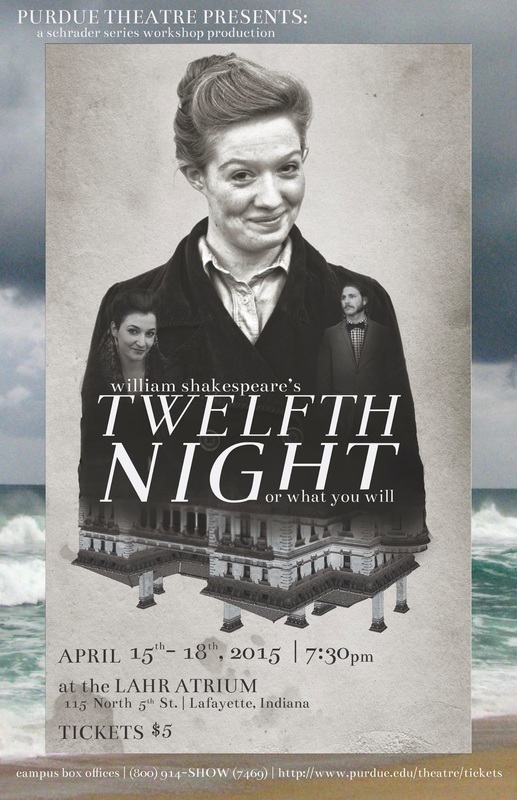 Twelfth Night opens Thursday, March 29th! Click HERE to learn more about the show and to get your tickets now! ***The reviews are rolling in, and the response is great! 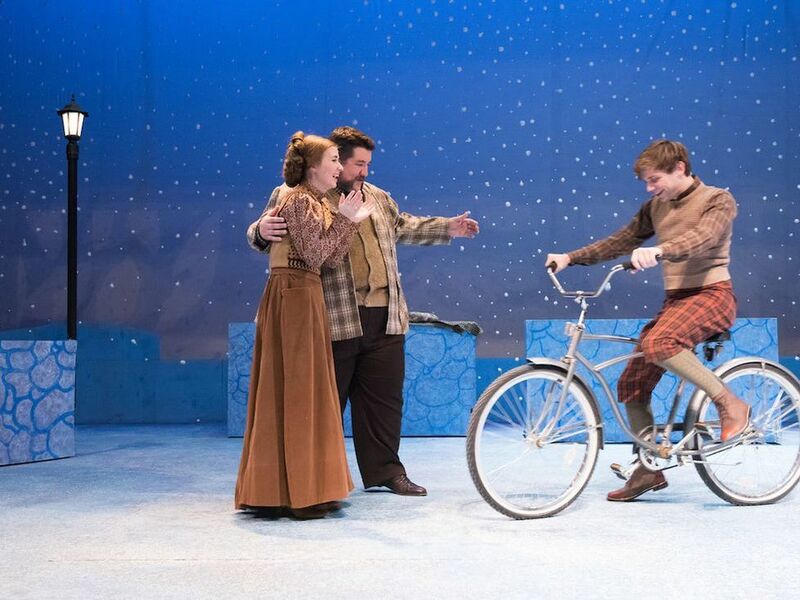 The Syracuse Post Standard calls it a "an attractive, rollicking production" with "unexpected treasures". The Syracuse New Times raves that Twelfth Night is "hilarious". Green Room Reviews exclaims that the production "dazzles [and] knocked my socks off. Most wonderful, indeed". As I prepare to start rehearsals for Twelfth Night at the Red House Arts Center, and I am excited to announce that I will be returning to CNY Shakespeare for their second season this summer. 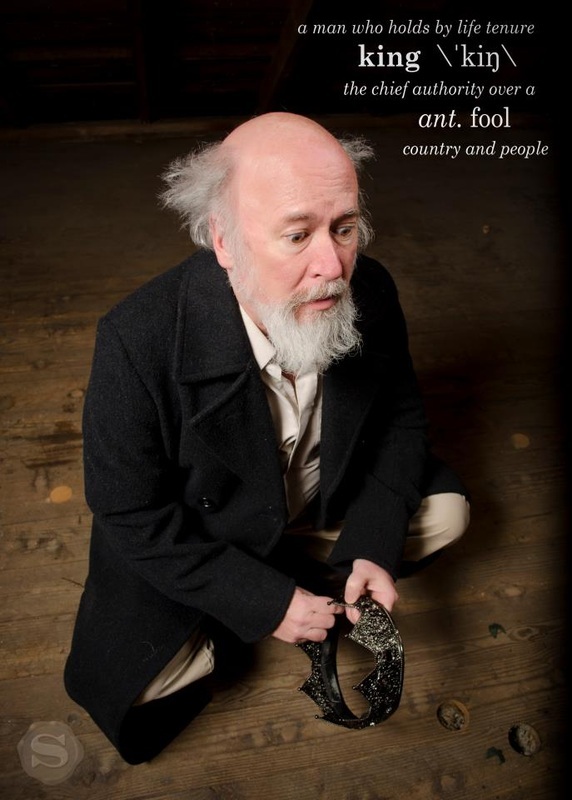 I will be playing the Duke of Albany in their upcoming production of King Lear. Stay tuned for more details! I am excited to announce that this winter, I will be playing Malvolio in Twelfth Night at the Red House Arts Center in downtown Syracuse, NY. Stay tuned for production details and ticket information soon! I am very excited to announce that I have joined the cast of Central New York Shakespeare's Henry V x 7, their inaugural production. I will be playing the Duke of Exeter (among other small roles)! The show is being performed at the Catherine Cummings Theater in Cazenovia, NY. Melancholy Play opens on Friday, November 12th. Get your tickets today by clicking HERE! *Melancholy Play is now closed, after packed houses and great reviews form the critics. And, most importantly, WAM Theatre was able to donate $1500 to the Women's Fund of Western Massachusetts. 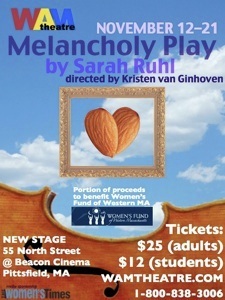 After a summer off, I am thrilled to be returning to the stage this fall in Sarah Ruhl's Melancholy Play at WAM Theatre in the Berkshires. Tickets are on sale now, so order your tickets online today!